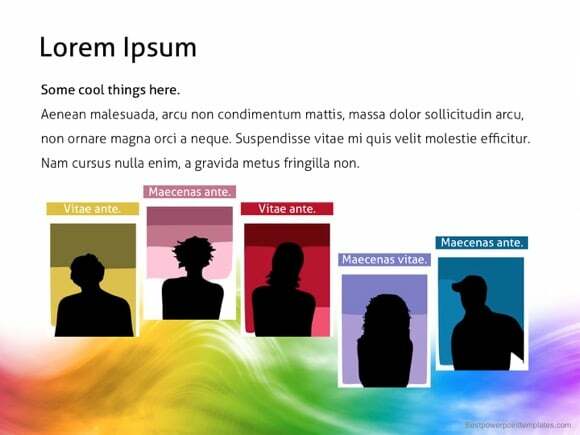 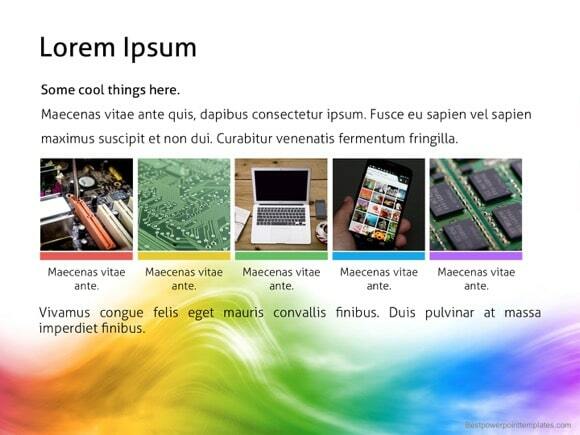 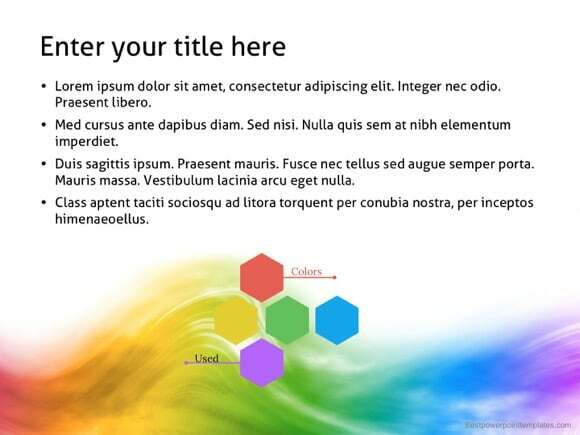 Colorful PowerPoint template - FREE! 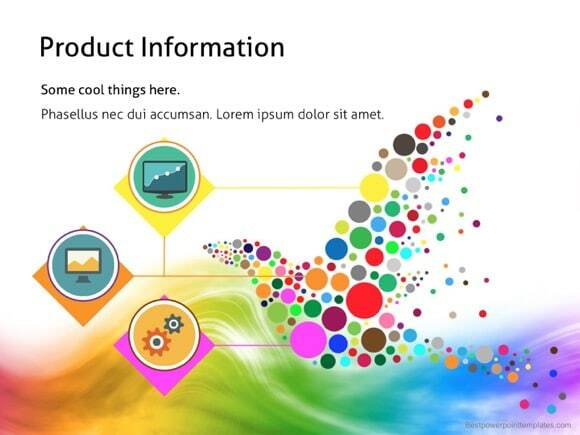 Simple and colorful powerpoint presentation which will give your audience relaxing and joyful emotions. 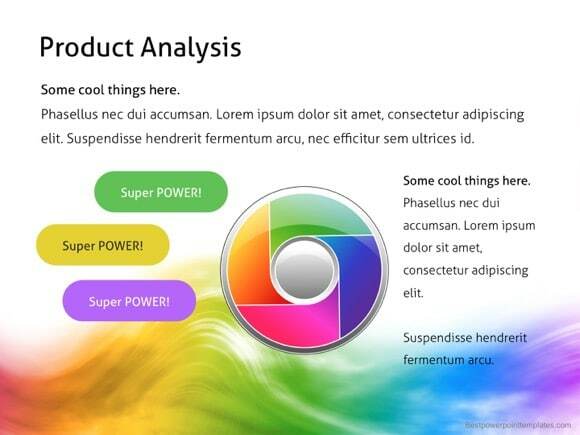 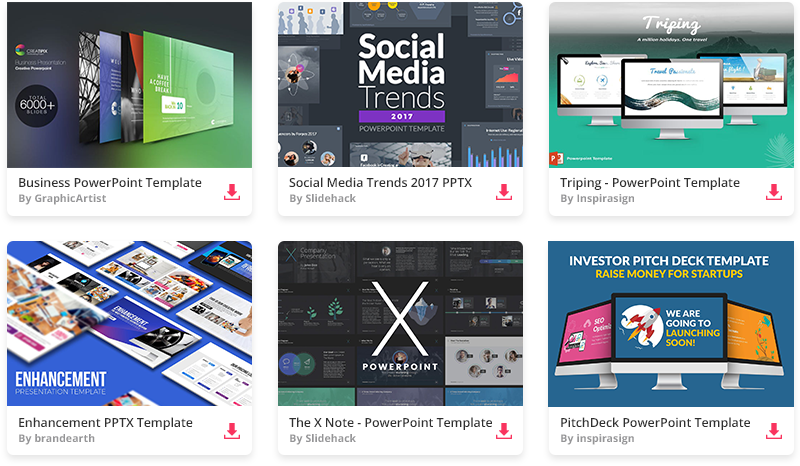 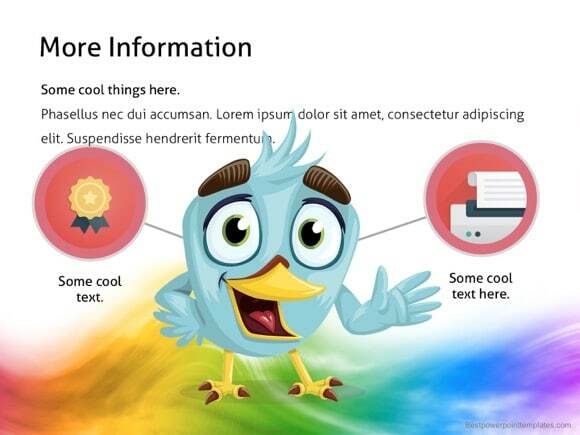 If you want your viewers to have positive feelings towards your presented idea, just download this free colorful PPT template. 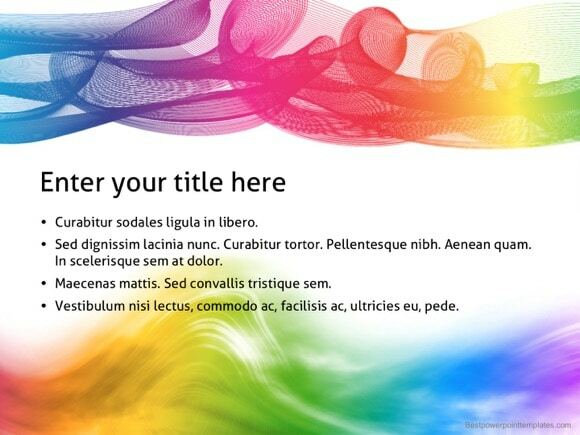 A professional and fresh look of this slideshow will make sure it will reach your audience just the way you need it. 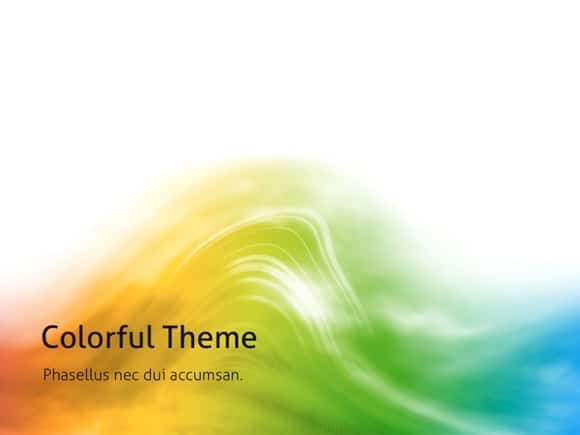 And if you need a specific color template (like yellow or blue), just use the search field on this website or click the color name tag under the template.